Yes, you can use such an option in the premium plugin. 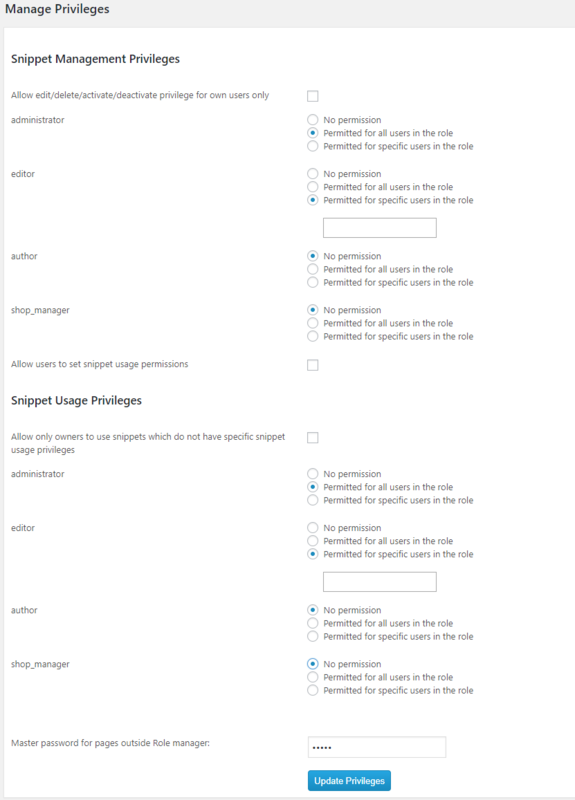 We can see the snippet manage privilege section in the premium plugin. 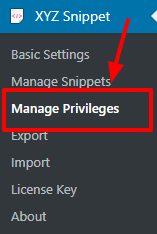 In the “Manage Privileges” page you call allow the editor to use the snippet. ← Can I export and Import Snippets in the plugin?